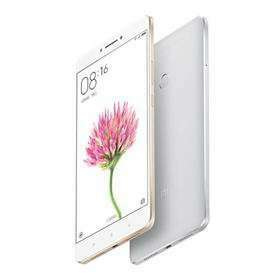 Xiaomi Mi Max. Silver. Gold is about 8 quid more. Been posted before, I know, but it's a little cheaper now. No band 20, unfortunately, for those who use O2 etc. Just got mine. Global ROM screen protector and leather cover for £149 from aliexpress. Hot deal . Little use in China yet? The phones are targeted at the home market not outside, hence few have Band 20. Surely 6.44" is a tablet? Little use in China yet? The phones are targeted at the home market not … Little use in China yet? The phones are targeted at the home market not outside, hence few have Band 20. Or a phablet? I refer to mine as a phone. Only £20 more for the 64GB with snapdragon 652 (though it's not international so will need flashed). $10 discount for new account, removed the U.K. warranty charge, standard delivery (19 days). great phone, the battery life is immense and yes i get slated for carrying a "tablet" but who cares? I read you can get band 20 going on this phone if you root and mess with rom. If that's true its a shame they never got it going in the first place. Heat from me though. I bought the last time this was posted from Geekbuying for £2 more. Arrived in 2weeks with no import charges. It is huge. Screen and battery life good. Using it on 3 with no problems. Developer support is good for this too. If you're not too fond of stock MIUI. Got Lineage 14.1 Android 7.1 on mine its awesome. I call mine a Slablet. It is a very good phone for the price. I have no regrets having owned one for about 3 months now. Just seen some of the reviews and will give it a miss. Some show light flexing where the whole phone creaks and you can see the gap at the side into the intervals clearly. Mine was £134 delivered from aliexpress - and potentially cheaper if the … Mine was £134 delivered from aliexpress - and potentially cheaper if the 9.9% quidco gets paid,$10 discount for new account, removed the U.K. warranty charge, standard delivery (19 days).Absolute bargain, excellent phone. How do you get rid of the warranty charge? Do not use Geekbuying, horrible company. I ordered gold version in November. They sat on the money . Then they said they did not know when the factory could supply me a gold one and wanted to change to silver. I said I would wait for gold. They then claimed they had chased the factory and could not supply gold version. I pointed out contract law and that they are advertising the gold version on their website as available. They refunded my money without asking, when I didn,t want the money , I want the phone. Have not raised a complaint with PayPal yet, but if they are like this to deal with before you get the phone, I hate to think what they are like afterwards. Would appreciate suggestion who best to buy this phone from and there was supposed to be some problem on video stopping another app from working? Change your destination to US, then put the phone in your basket, and order as normal - I paid in us dollars. Do not use Geekbuying, horrible company.I ordered gold version in … Do not use Geekbuying, horrible company.I ordered gold version in November. They sat on the money . Then they said they did not know when the factory could supply me a gold one and wanted to change to silver.I said I would wait for gold. They then claimed they had chased the factory and could not supply gold version. I pointed out contract law and that they are advertising the gold version on their website as available.They refunded my money without asking, when I didn,t want the money , I want the phone. Have not raised a complaint with PayPal yet, but if they are like this to deal with before you get the phone, I hate to think what they are like afterwards.Would appreciate suggestion who best to buy this phone from and there was supposed to be some problem on video stopping another app from working? Right, this is not a suggestion, this is my experience, I made the mistake of offering my experience on the previous geekbuying deal for this phone and I hit a nerve with another poster. Aliexpress are not a retailer, they're a marketplace for connecting buyers and sellers, bit like eBay with business sellers. On ordering my Mi Max (via their app) their buyer protection kicked in and the seller had 5 days to dispatch the phone or the order was cancelled and my money refunded. Aliexpress hold your payment from the seller until you've received and confirmed you're happy with the phone on its arrival - so clearly it's in the sellers interest to proceed as quickly as they possibly can. As a buyer you can override this dispatch limit should you wish. The aliexpress app has a good tracking feature, my phone was dispatched 3 days after ordering and I was able to track it at each stage until it arrived in the U.K. where it wa delivered by Royal Mail sign on delivery. My phone took 19 days from ordering to delivery, and was in the U.K. for 4-5 days before it appeared in the far reaches of rural Scotland. Aliexpress app then asked me to confirm I'd received the phone and was happy with the phone, I responded later in the day once I'd checked it out. Aliexpress have an 'official' xiaomi store, whether it's genuinely official I don't know, but it gave me some confidence that the sellers had good access to stocks. I'm sure there are lots of aliexpress horror stories, but I'm quite impressed at the process they now have in place. It's clear from my previous experience that the usual retailers don't hold a lot of stock of popular phones and this is never made clear when ordering. Preorders are a real lottery, gearbest let me (and many other) down with the p7000 launch - yet my 2nd preorder from aliexpress was dispatched a couple of days after launch, gearbest got stock about 3 weeks later. I'm sure there are lots of aliexpress horror stories, but I'm quite … I'm sure there are lots of aliexpress horror stories, but I'm quite impressed at the process they now have in place. I have had no major problems myself with AliExpress, a few items not turning up but full refunds. The thing to watch out for there is items arriving damaged or not as described or even completely different items, the standard AliExpress policy there is to return at your expense for a refund or to get a part refund at a fixed percentage, which often means you are still over paying for the crap you received but did not want. I have had no major problems myself with AliExpress, a few items not … I have had no major problems myself with AliExpress, a few items not turning up but full refunds. The thing to watch out for there is items arriving damaged or not as described or even completely different items, the standard AliExpress policy there is to return at your expense for a refund or to get a part refund at a fixed percentage, which often means you are still over paying for the crap you received but did not want. Fair point, also worth pointing out that sellers have feedback and reviews, so worth spending time researching if you're buying something which isn't a mainstream item - wouldn't help if the item is damaged, but everything I've had is well packed, and you can always refuse delivery if it looks like it's been damaged in transit. anyone got a recommendation for this on aliexpress then? Looking at my order it was from the Xiaomi online store (seem to think it was fulfilled by mc-mart or something like that), the 32gb model has 3800 orders and is $175.99. It was $185.99 when I ordered but I got a $10 discount for a new account. I chose not to take the U.K. Warranty as it has a cost - but others might think it's worthwhile. I've used HK Goldway on AliExpress previously. No issues with them. Plenty of phone for that price. So difficult knowing whether to get this. The same phone is £200 from uk seller on ebay, am I definitely going to be paying VAT and duty on the import if I order on aliexpress? Also anyone know about the band 20? I'm on Vodafone 4g, so I'm happy to mess with the phone to get it working but need to know that it's an option!! And some revuews said this was hard on eyes, how does screen compare to say the moto g4, how much bigger is aNother one inch really?